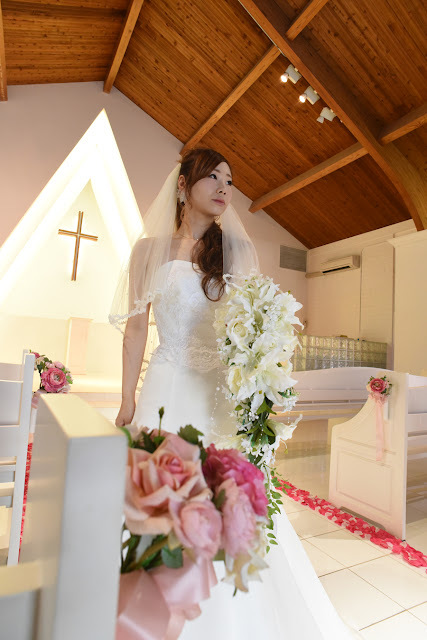 Pretty Bride Miho poses with a nice and simple wedding dress in Honolulu Hawaii. Slender figure looks nice with Honolulu skyscrapers in the background. This shot of the Bride at Primarrie Church was too good to ignore. Let's include a chapel photo with our beach pics.